The Royal Parks Foundation, the charity that supports London’s eight amazing Royal Parks, is offering the opportunity to create a new design for the 2012 Royal Parks Foundation Half Marathon running shirt. The winning creative will be proudly worn by more than 12,000 runners taking part in the Royal Parks Foundation Half Marathon and Pulse3K, a race for 11-16 year olds on Sunday, October 7, 2012. Entries will be judged by a panel of experts including Ben Fogle, Nell McAndrew and the Chief Executive of the Royal Parks Foundation. The chosen designer will also win two coveted Royal Parks Foundation Half Marathon race places for the 2012 event, a magnum of Champagne and two VIP invitations to rub shoulders with the stars in the exclusive hospitality tent in the festival village. Enjoyed by many, these shirts are not only soft, comfortable and eye-catching, they also have an important technical specification. They offer distinct performance properties for runners such as high absorbency, quick dry, deodorising and thermal regulation. 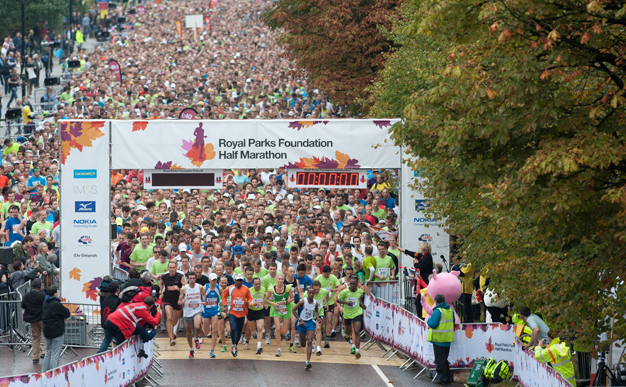 The Royal Parks Foundation Half Marathon is Britain’s most beautiful city run, with a scenic 13.1 mile autumnal route through four of London’s magnificent Royal Parks and past some of the capital’s most iconic landmarks. For further details visit www.royalparkshalf.com and download the running shirt template.